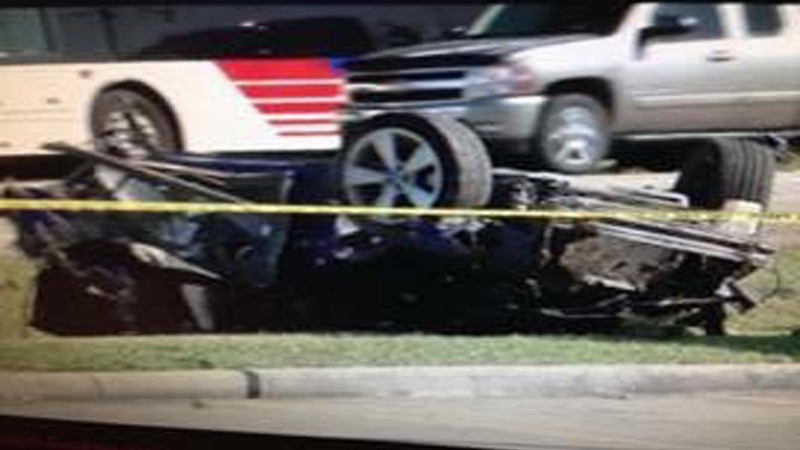 HOUSTON (KTRK) -- A woman is dead after the car she was riding in smashed into two other vehicles and a utility pole on Veterans Memorial this afternoon. The crash happened in the 11000 block of Veterans Memorial. The woman was the passenger. After hitting two cars and the pole, the car rolled over and the woman was thrown about 150 feet as the vehicle landed on its roof.